Growing up I loved the stories and books by Maurice Sendak. 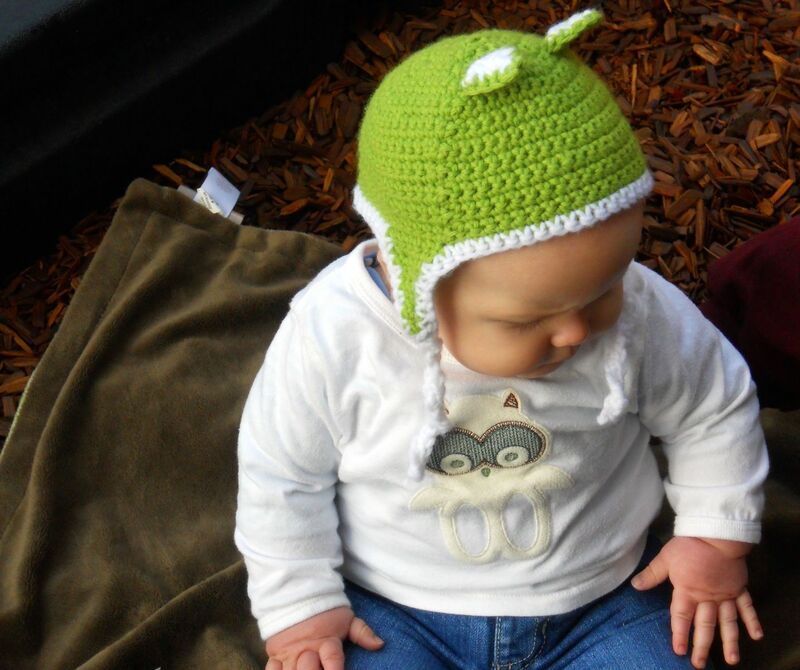 Inspired by one of his most beloved characters and his wonderful footed P.J.s, here is a hat for even the littlest wild things. 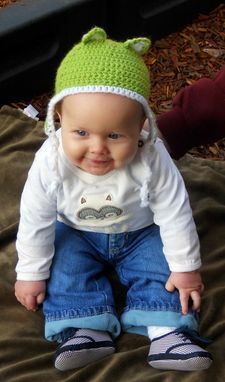 * Hat is made from Fantasy by Dark Horse Yarns in Lime and White. This a very soft acrylic yarn with some give. 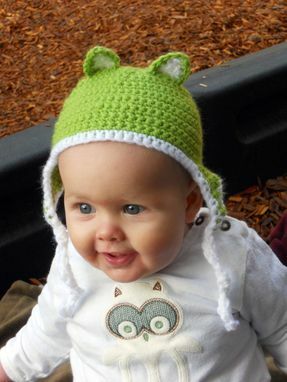 * Hat measure 15 inches around and 4.25 inches from top to crown. * Machine wash warm, tumble dry low.